Say hello to Title V, a shockingly sensible way to tap into a vast amount of property sitting unused in American cities. For years, residents and officials in Washington, D.C., have debated what to do with an abandoned federal warehouse at 49 L Street SE. Parked a block from both the Nationals Ballpark and the Navy Yard Metro Station, the warehouse couldn’t hope to occupy a better location. A formerly forlorn pocket of the city marked by gay clubs and empty federal warehouses, Navy Yard is now known as Capitol Riverfront—to developers, anyway—and features two of the city’s flashier urban parks, Yards Park and Canal Park. While neighbors dreamed up plans for a Half Street Market, and members of Congress even convened a hearing (inside the warehouse!) to discuss why the General Services Administration moved so slowly in selling off its disused property, the fate of 49 L Street SE was set decades ago. It will be used as a homeless shelter, or more specifically, a transitional services facility with permanent supportive housing for seniors. In San Francisco, there’s an underused federal parking lot adjacent to the U.S. Ninth Circuit Court of Appeals that’s every bit as desirable. Located at 1064–68 Mission Street, two blocks from two different world-famous Blue Bottle Coffee roasters, the surface parking lot is valued at $35 million. Soon it will likely be used to build two buildings with some 250 units of permanent supportive housing. Given soaring land costs, zoning laws, and neighborhood opposition, building a homeless shelter in trendy SoMa (in San Francisco) or D.C.’s Navy Yard might seem unthinkable. But in both D.C. and S.F., city agencies will use these federal parcels to help the homeless, with the full backing of federal law. And it won’t cost the city a thing. That’s because a 30-year-old federal law obligates the government to make disused federal properties available for sheltering the homeless wherever possible. Further, a bill passed by Congress in December 2016 enables local governments, housing nonprofits, and faith-based organizations to essentially bypass the veto of neighborhood associations and zoning commissions. Title V—that’s the name of the 1987 provision that transfers disused federal properties to homeless-service providers—addresses one of the most vexing questions dogging many American cities. There’s vacant property everywhere, and there are homeless people everywhere. So why the hell don’t we use that property to house the homeless? On June 28, CityLab is taking part in a national conversation about the homeless crisis, and possible solutions. Title V was designed to do exactly this with millions of acres of unused federal land. But the rule is obscure, and until recently, making use of it involved overcoming some challenging obstacles. Still, to date, Title V has created some 500 emergency shelters, transitional housing facilities, nonprofit offices, and other spaces using about 900 acres of federal land across 30 states and D.C. Thanks to changes in the law passed by Congress late in 2016, Title V is a more effective tool today for turning back the large (and growing) tide of homelessness in the U.S. The McKinney-Vento Homeless Assistance Act of 1987 is still the most ambitious federal law that Congress has ever passed on homelessness. Among other things, this bill launched the U.S. Interagency Council on Homelessness and required states to develop procedures to guarantee that homeless children receive an education. Late last year, Congress passed a bill to slim down the federal government’s physical footprint and speed up its “disposal” of property. Until recently, organizations faced a couple of hurdles in turning old federal buildings into shelters. To receive final approval from HHS, an applicant would need to demonstrate not just expertise but also a financing plan to convert the building or property. (Title V commits no funds to homeless services.) That could be difficult for an applicant to demonstrate on a tight turn-around of just 90 days. After receiving federal approval, any potential Title V shelter still faced the prospect of opposition from not-in-my-back-yard types. 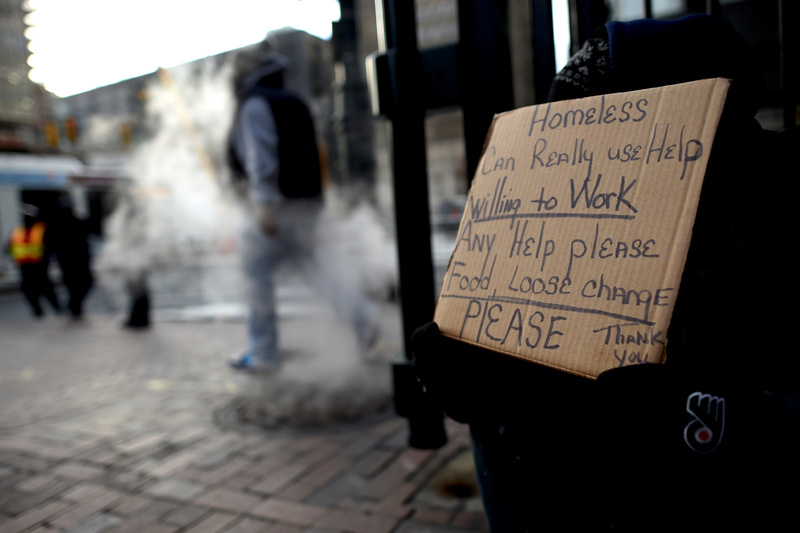 In a 2004 review of 64 successful transfers, the National Law Center on Homelessness and Poverty concluded that 11 providers reported significant NIMBY opposition to proposed Title V initiatives—several of which were scotched as a result. Lining up so many ducks in a row proved difficult for service providers. In 2003, for example, HUD listed 945 properties as suitable and available for use as homeless shelters. Only 17 applications were tendered to HHS. The FAST Act included big changes for Title V. It enabled HUD to list properties online, through the HUD Exchange. (According to Juanita Perry, HUD’s Title V lead, the department is currently working on a mapping tool to make these opportunities even more visible.) The formal application process with HHS was broken into two steps, giving nonprofits four months to demonstrate financing options. The bill streamlined certain other eligibility criteria, too. And under FAST, properties could be used for permanent supportive housing, not just shelters, a major expansion to the scope of potential programming. But the biggest transformation may be in the way that the government offloads these properties. Previously, the federal government could choose to convey a property by deed or by a no-cost lease. After FAST, conveyance is up to the applicant. That matters very much in neighborhoods like SoMa or Navy Yard—where shelters on leased federal land would be exempt from local zoning. In February 2016, D.C. Mayor Muriel Bowser announced plans to shut down D.C. General—a former hospital, de-facto homeless shelter, and overall nightmare—and instead open community shelters in all eight of the city’s Wards. Her plan treats homeless services as essential infrastructure and requires every corner of the city to do its part to bear the load. More than a year later, the city is still arguing over where to put some of these shelters. The debate in Ward 6 saw the potential shelter site shifted twice before the community settled on a third and final location at 850 Delaware Avenue SW. That site is a half-mile away from the vacant GSA warehouse at 49 L Street SE. As The Hill Rag reports, the board of the Velocity Condo, which is just across the street from 49 L Street SE, opposes plans by the D.C. Department of General Services to use the warehouse for homeless services. So do Ward 6 Council member Charles Allen, Capitol Riverfront Business Improvement District president Michael G. Stevens, and Advisory Neighborhood Commission 6D-02 commissioner Cara Lea Shockley (albeit for different reasons). For any other project, that level of opposition would be sufficient to scupper or scale back a proposal. But thanks to Title V, the District can pursue 49 L Street SE as a matter of right, and has received approval—although not yet a transfer—to build a facility for homeless family resources, job training, and permanent supportive housing for seniors. The neighborhood may get some input, but it won’t have final say. According to Council member Allen’s office, the plans fall under the purview of the Office of the City Administrator. Certain restrictions keep Title V in check. Lighthouses, for example, are entirely exempt: no homeless shelters in lighthouses. The GSA has discretion over whether a federal property should be exchanged to another agency rather than be deemed extra. Agencies frequently fail to comply with Title V, and there have been consistent congressional efforts to bypass it. Title V raises the intriguing prospect of turning the possibly soon-to-be-vacated Federal Bureau of Investigation headquarters into a homeless shelter—a proposal that CityLab has floated before. The National Capital Planning Commission has issued design guidelines on what sort of redevelopment could happen on the site where the hulking J. Edgar Hoover Building stands today, if and when Congress finds the money to move the FBI to Prince George’s County. Presumably, an empty FBI headquarters would be deemed unused, underused, excess, or surplus (unless it was given to a different federal agency). Before the government could sell the parcel to a developer, under Title V, it would first need to throw the building up on HUD Exchange to see whether anyone could find a use for it. Now, to be sure, Congress could find an escape clause before it made a decision that would appeal solely to affordable housing advocates and fans of Brutalist architecture. But by federal law, faith-based organizations and nonprofit housing agencies should come first in the order of operations, before private developers. That’s how Growing Home got its start in Chicago. In 1992, the Chicago Coalition for the Homeless applied for and received a federal parcel (part of Navy Pier) to launch an urban agriculture training program. A few years later, the coalition formed Growing Home as an independent nonprofit and acquired 10 acres in Marseilles, Illinois, out in LaSalle County—a disused National Weather Service meteorological station—also through Title V.
Growing Home maintained its original farm in LaSalle County from 2002 to 2015, roughly half the term of the original lease with GSA. With every passing year (and year’s worth of improvements), Growing Home came to own part of the property outright; when the organization decided to sell halfway through its lease and move operations to Chicago, it bought out the government’s remaining interest in the property, then sold the whole thing. In 2016 alone, Growing Home generated more than 35,000 pounds of organic produce from its two Englewood farms and trained more than 50 people in urban agriculture job skills. According to the program, 82 percent of its production assistants completed the program, 95 percent of those graduates earned jobs afterward, and 97 percent of those job earners kept their jobs for at least 30 days. More than a shelter, Growing Home is an effort to address the root causes of homelessness. Every year, HUD screens hundreds, sometimes thousands, of properties—vacant lots, empty warehouses, and redundant facilities whose upkeep costs serve as a drain on taxpayer dollars. By law, these sites can be transformed into job generators and shelters for the country’s most vulnerable people, all through the generosity of the faithful and the ingenuity of dreamers. That’s good government at work. Homelessness is a problem that people know how to solve. Through Housing First, transitional housing, and permanent supportive housing programs, advocates know how to reverse chronic homelessness and get help to families who need it. The hard part is finding the money, the property, and the buy-in from communities—even though those things are abundantly available. Title V takes care of two out of three.